These cocoa krispie treats are the next best thing to those Girl Scout cookies you've been craving (I've always had a neverending debate between Thin Mints, Samoas, and Tagalongs...). If you lean towards the Samoas side (like I do about 33% of the time), then these krispie treats are for you. 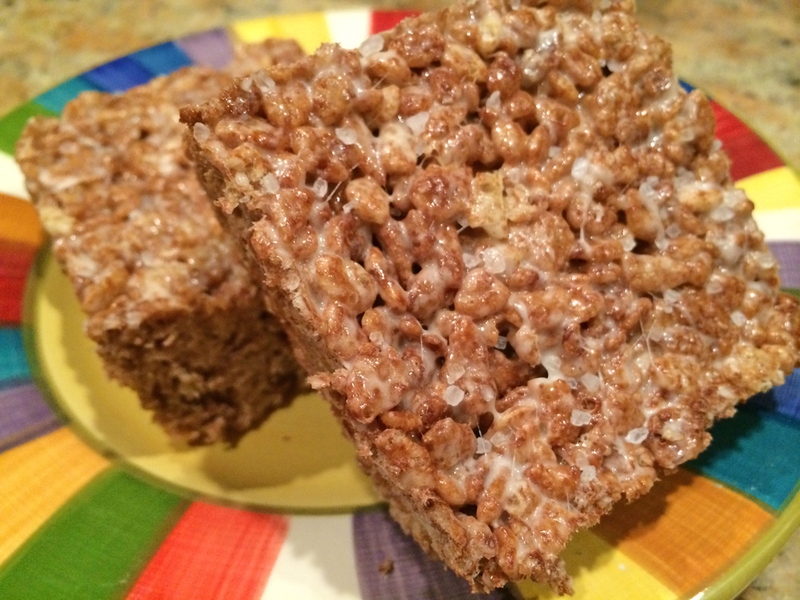 With a mix of healthy coconut oil, chocolaty cocoa krispies, and the creamy goodness of marshmallows, these sweet krispie treats won't break your waistline. 1Spray an 8 x 8 glass pan with cooking spray and set aside (line with parchment paper for extra ease of removal). 3Melt coconut oil in a large pot on medium heat. Add marshmallows, stirring consistently, until melted. 5Add Cocoa Krispies and stir until evenly coated. 7Pour mixture into glass pan. Top with parchment paper and push down using a rubber spatula to condense the treats. Remove parchment paper, add sea salt, and coconut flakes as desired. Replace parchment paper and lightly press to stick toppings to the treats. 9Cool for at least 1 hour and cut with a sharp knife. Happy eating!